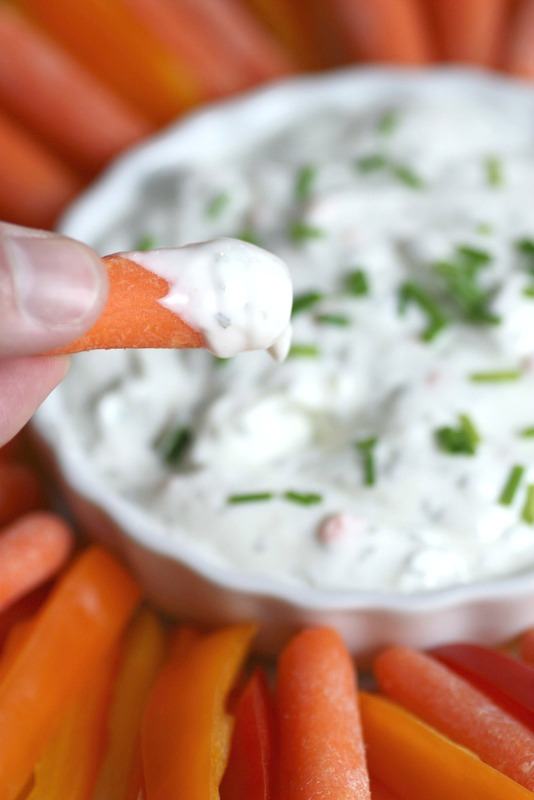 I love vegetables and eat them every day, but when I was a kid, I refused to let them cross my lips. Well, my daughter is almost the same way. Unless I find an interesting way to dress them up, she refuses to eat vegetables, too. 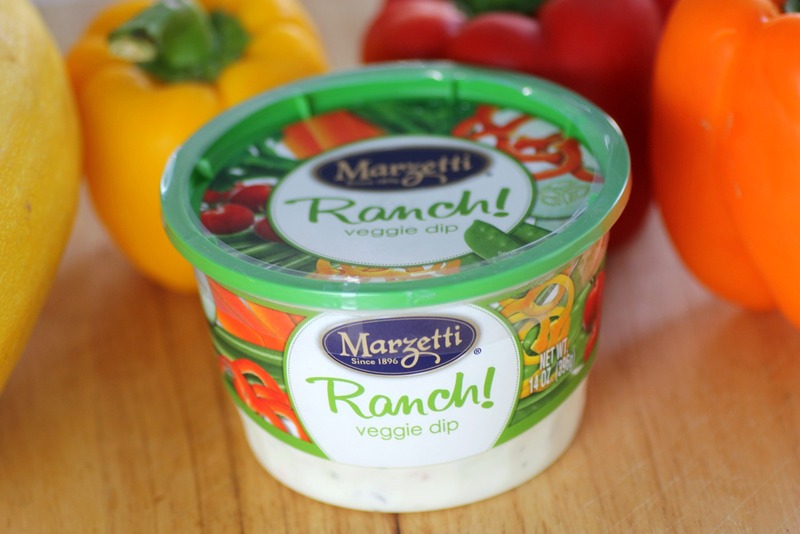 So when Marzetti® asked me to write a blog post about pairing their veggie dips with fresh vegetables during the holidays, I jumped at the chance. I created this sunflower vegetable plate of peppers, carrots, and cherry tomatoes to look great at a holiday party, but also I had an ulterior motive. 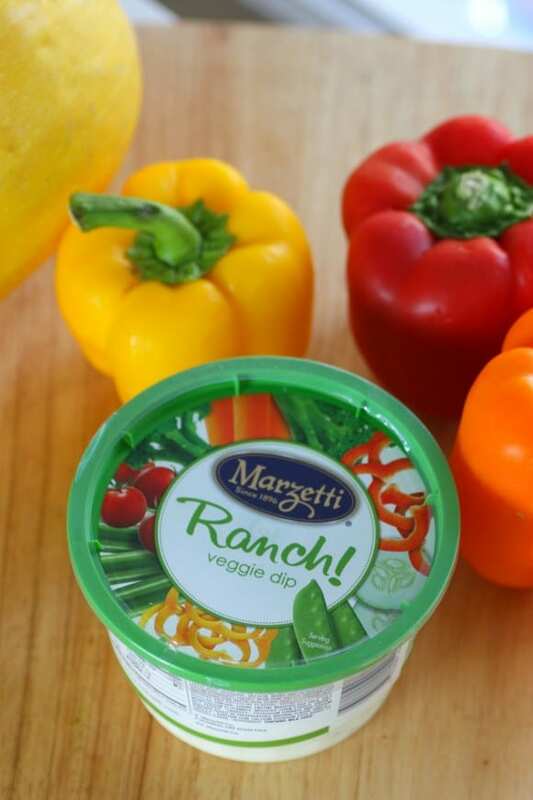 I wanted to see if the Marzetti's Ranch Dip would entice Lainey to eat fresh vegetables. My husband and I dug in... And guess what? Lainey did, too! She liked the creaminess and bite of the sour cream, mixed with the onions and garlic. 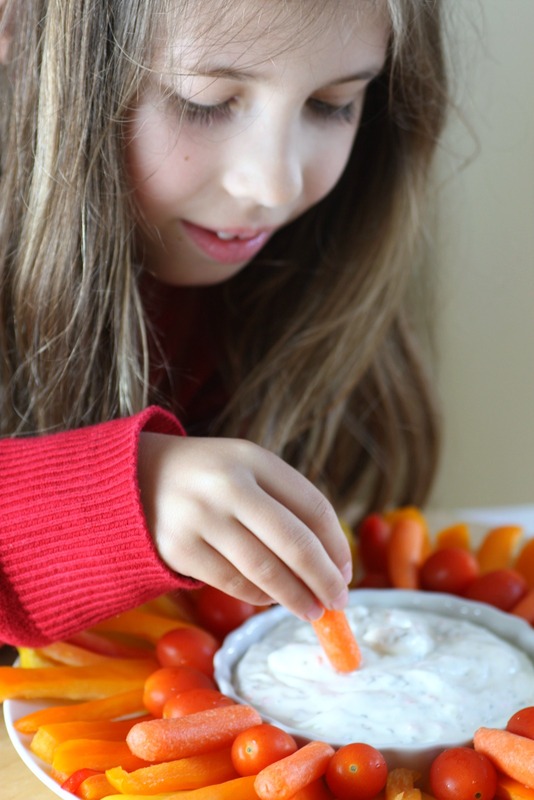 She thought the dip made the veggies taste good, and I was a happy mom! 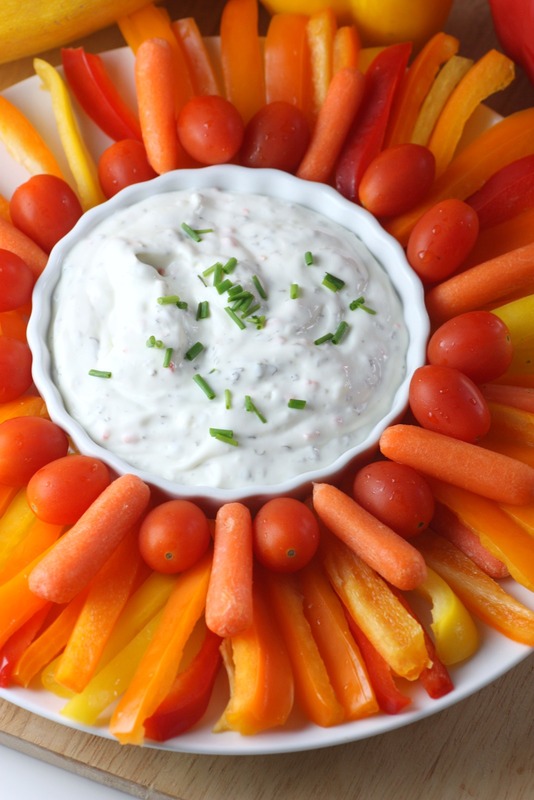 With the holidays filled with so many treats and indulgences, it's hard to eat healthy. That's why cutting up vegetables and serving them with thick and rich Marzetti dip -- like their Ranch Veggie Dip (Lainey's favorite), French Onion Veggie Dip (my favorite) or their Sriracha Ranch Veggie Dip (my husband's favorite) -- makes eating fresh, nourishing foods both tasty and easy. 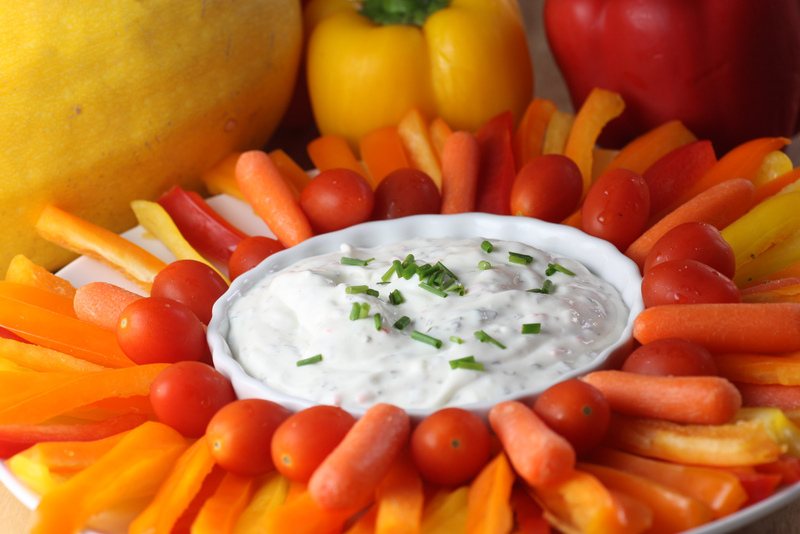 And as part of this post, I'm giving away a Marzetti gift card worth $50 so you can serve Marzetti Veggie Dips at your holiday party to give your guests something that feels good and tastes good. For a chance to win, please leave a comment on our Facebook page telling me what your favorite vegetable is. To learn more visit Marzetti on Facebook.